The Maximum Temperature was 3 to 5 C above normal two three days back and has now marginally decreased and are now 1 to 2 C above normal. 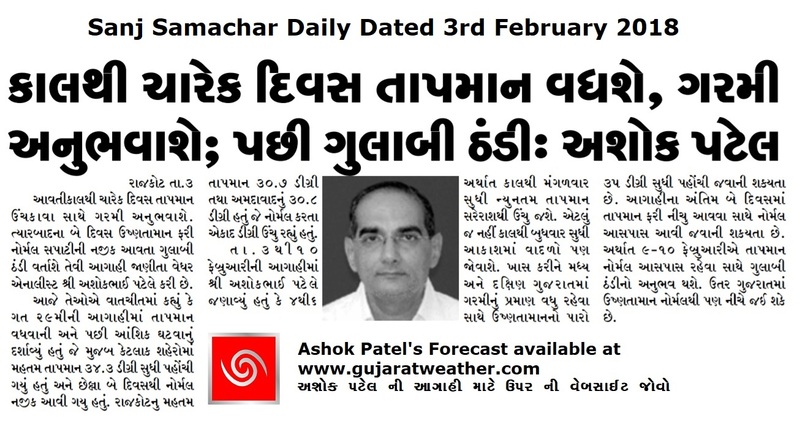 The Minimum Temperature is near normal to 2 C above normal over Saurashtra, Gujarat & Kutch. There was Fog yesterday as had been forecast. 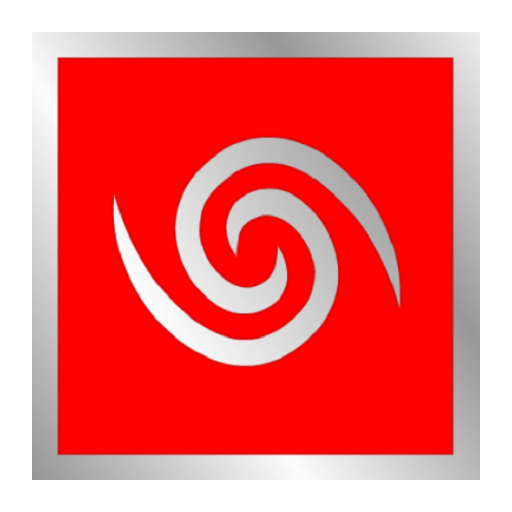 The Minimum Temperature in Ahmedabad was 12.9 C is normal and Rajkot is 15.6 C about 2 C above normal. The Temperature will be be marginally higher during the forecast period till 7th February. The weather will be cloudy off and on from tomorrow. The Maximum Temperature will be 34 to 35 C around Central & South Gujarat while it will be around 31 to 33 for rest of Gujarat. 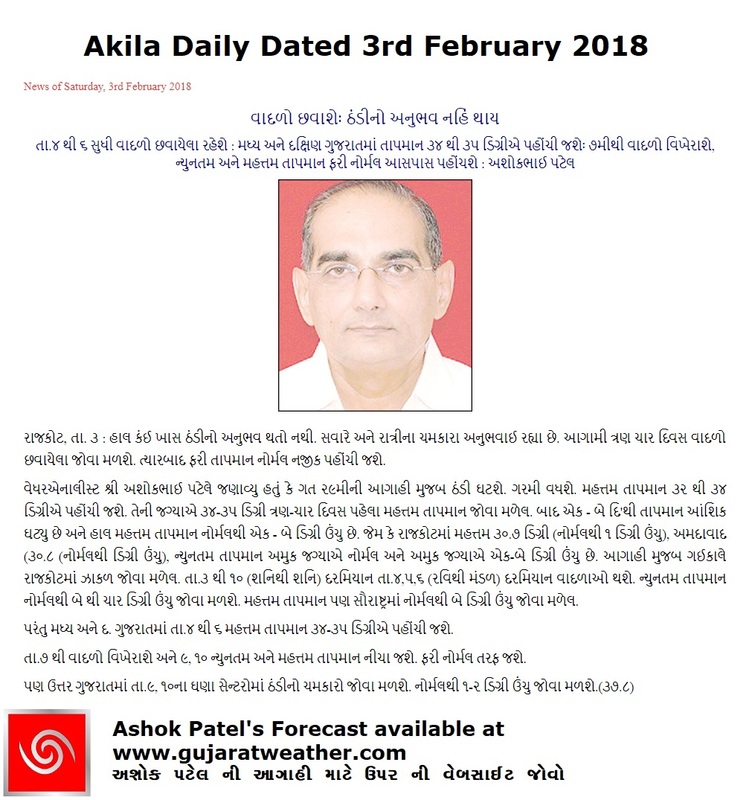 The Temperature is expected to become near normal on 9th & 10 February for most of Gujarat with North Gujarat experiencing chilly weather during these two days where the Minimum Temperature could become below normal. Note: The Maximum Temperature on 6th could be lower than normal due to clouding, however, the Minimum on 6th morning will be 3 to 5 C higher than normal. સૌરાષ્ટ્ર, ગુજરાત અને કચ્છ માં ન્યુનતમ તાપમાન સામાન્ય વધારો જોવા મળશે તારીખ 7 સુધી। જેમાં માધ્ય ગુજરાત અને દક્ષિણ ગુજરાત બાજુ મહત્તમ તાપમાન વધુ વધી ને 34 C થી 35 C પહોંચશે જયારે બીજા સેન્ટરો માં 31 C થી 33 C સુધી. આ સમય દરમયાન છુટા છવાયા વાદળો પણ રહેશે. તાપમાન 9 અને 10 તારીખે ફરી ગુજરાત ના લગભગ ભાગો માં નોર્મલ આસપાસ પહોંચશે જયારે ઉત્તર ગુજરાત માં ઠંડી નો ચમકારો કે નોર્મલ થી તાપમાન નીચું જોવા મળશે. નોંધ : તારીખ 6 ના મહત્તમ તાપમાન ઢાબર (વાદળ) ને નોર્મલ થી હિસાબે નીચું રહે પણ તે દિવસે સવારે ન્યુનત્તમ તાપમાન 3 થી 5 સી ઉંચુ રહેશે. Sir, vadodara ma varsad na ami chhata. Sir! Upleta ta. Na kolki gam ma aaje savare khali ami 6atana hata! Kale koy sakya ta 6e 6ata ni k nay? સમ ખાવા જેટલા કે વધુ છાંટા છે ? Chatta aavya savare 8 8:30 vage. Chotila ma coludy weather batave chhe to varasad na chhanta na chances chhe? Junagadh nu Aa wik nu normal temperature jovu hoy to..
Junagadh ma IMD nu koi weather station nathi. Junagadh Agriculture University ma vigat mali shake. Jakal nu kai lakhel nathi to sir jakal na chanch nathine ? Na lakhel hoy toe shu kaam zakar maago chho ?